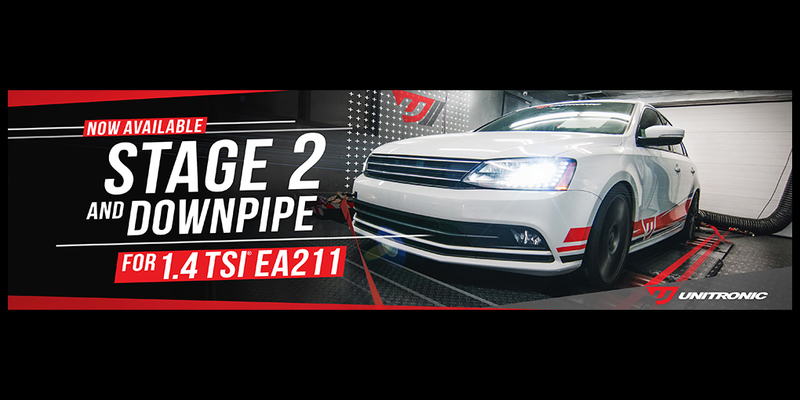 As one of Volkswagen’s most popular cars, the Passat has a special place in North America. 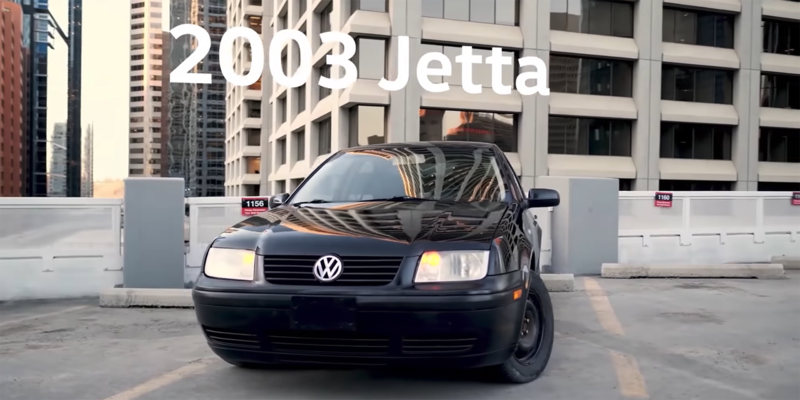 With the all-new 2020 Passat only days away from its world debut, let’s take some time to look back on the history of Volkswagen’s midsize sedan. 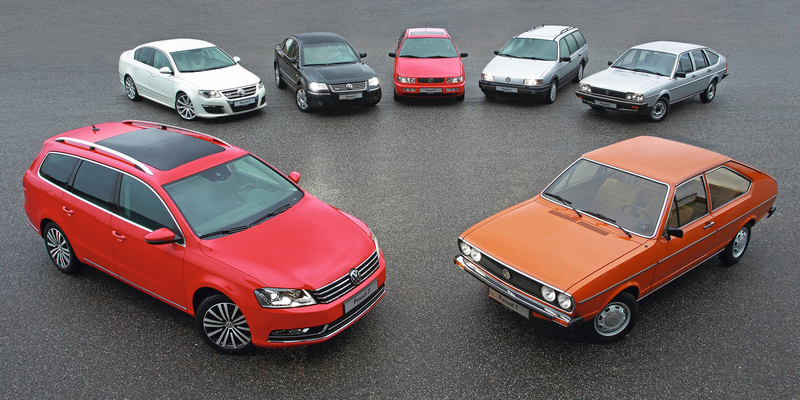 In part one of a two-part series, we’ll cover the first four generations of the Passat. 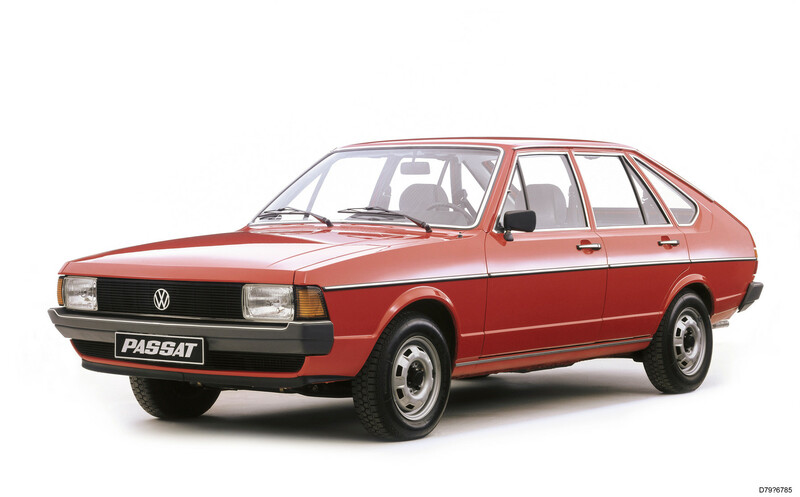 The Volkswagen Passat debuted in 1973 in Europe. 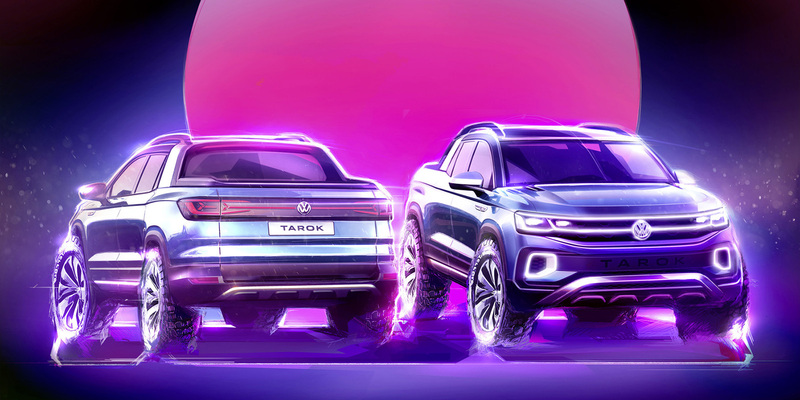 For years VW execs knew they needed modern front-engine cars to replace their behind-the-times air-cooled ones, and what better base to work off of than their own Audi models. 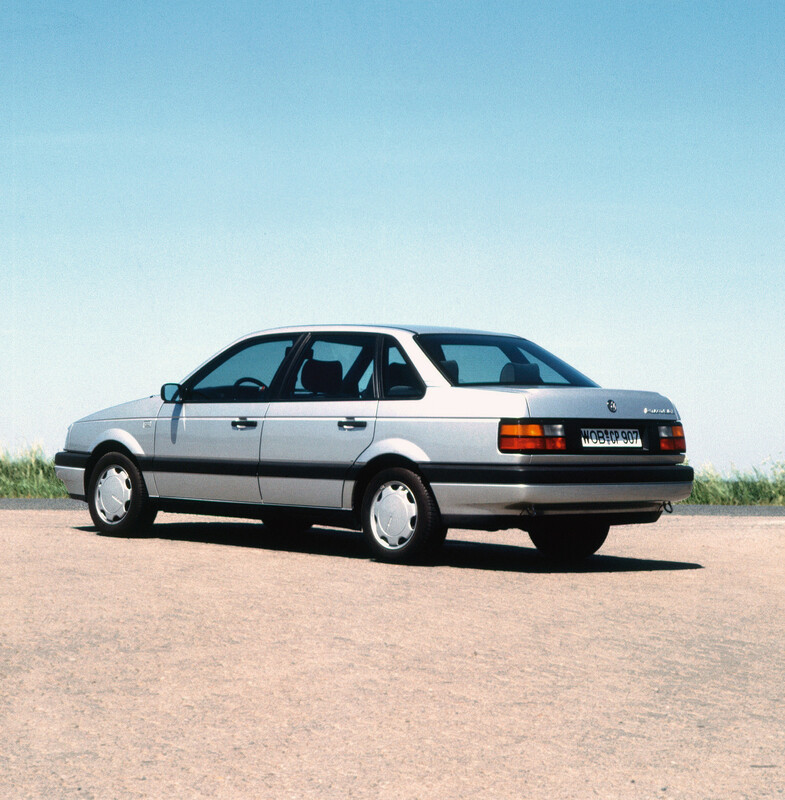 With a quick update to fascias and interiors, the Audi 80/Fox became the Volkswagen Passat. 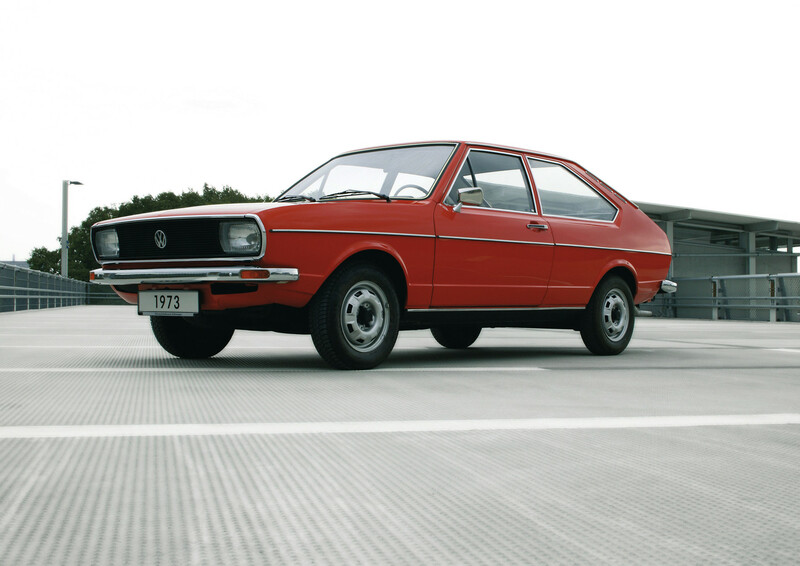 VW introduced its newest car to North America in 1974, but it ditched the name it had overseas for a more American-sounding one: the Dasher. 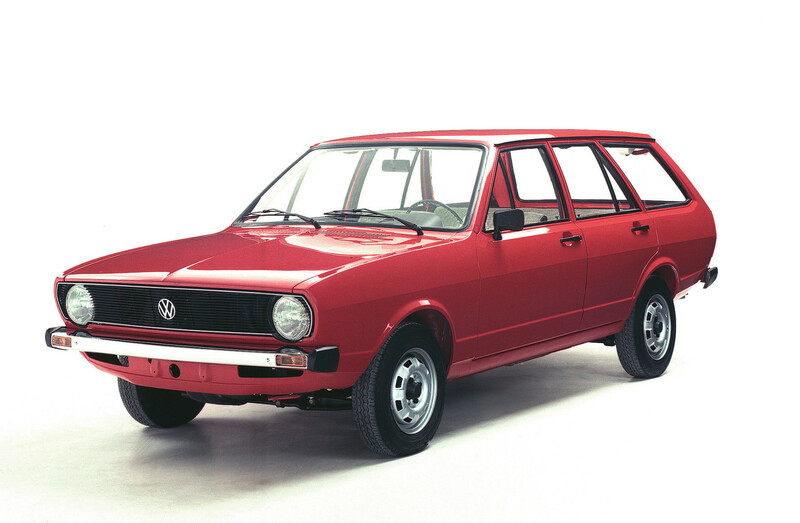 This larger-than-a-Golf car came in three body styles: 3-door coupe, 5-door hatchback, and 4-door wagon. 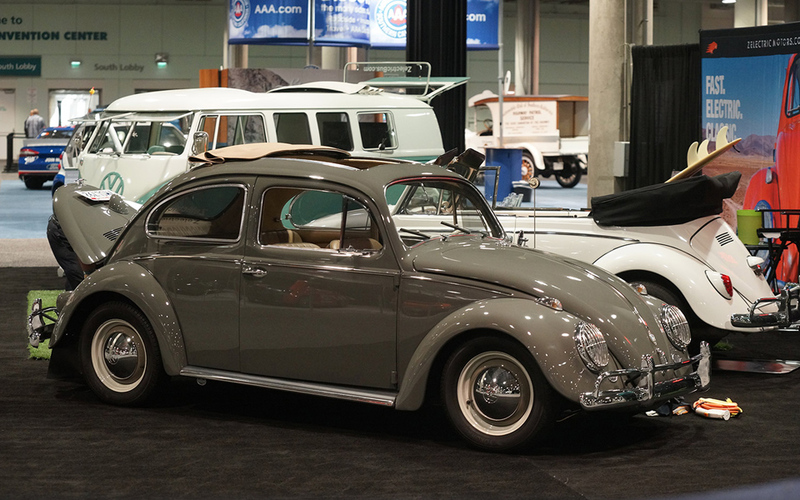 Early cars had 1.5-liter inline 4-cylinder engines mounted longitudinally (engine direction flip-flops throughout the Passat’s history). 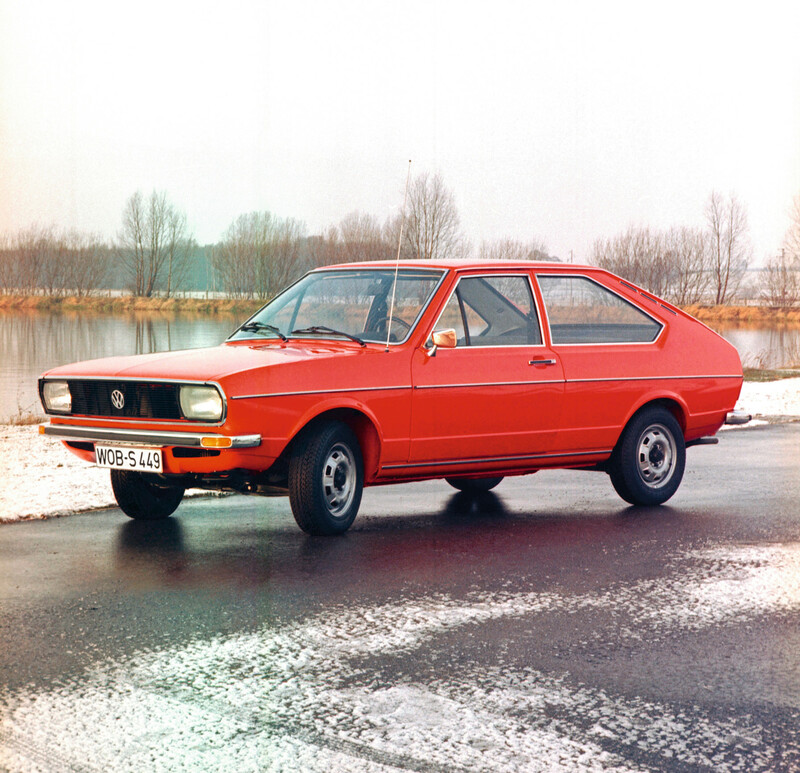 Later models featured 1.6-liter motors, and a 1.5-liter diesel engine was also available. The Dasher name was quite ironic: it couldn’t really dash anywhere. 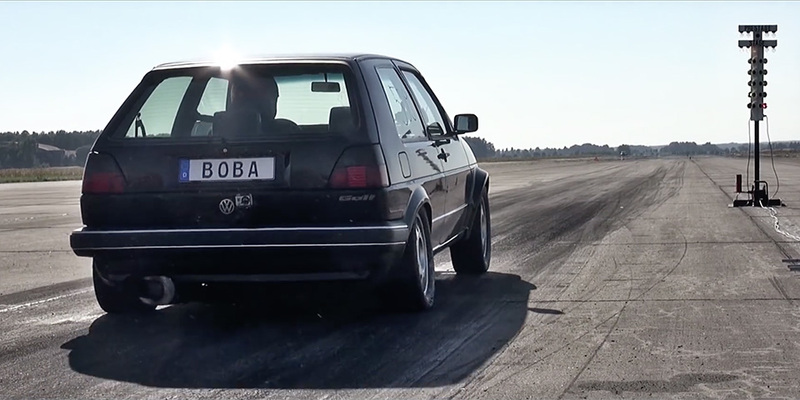 With its most powerful engine, the Bosch fuel-injected 1.6-liter mated to a 4-speed manual transmission the best 0-60 time it could manage was 13.2 seconds. 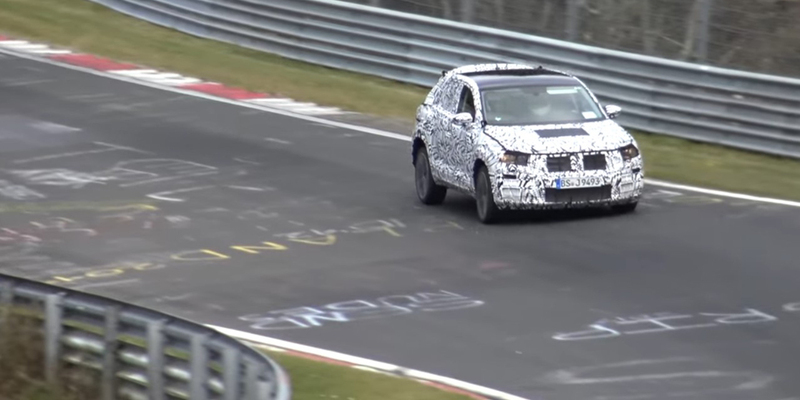 And the diesel was even worse: 19.4 seconds. Oof. 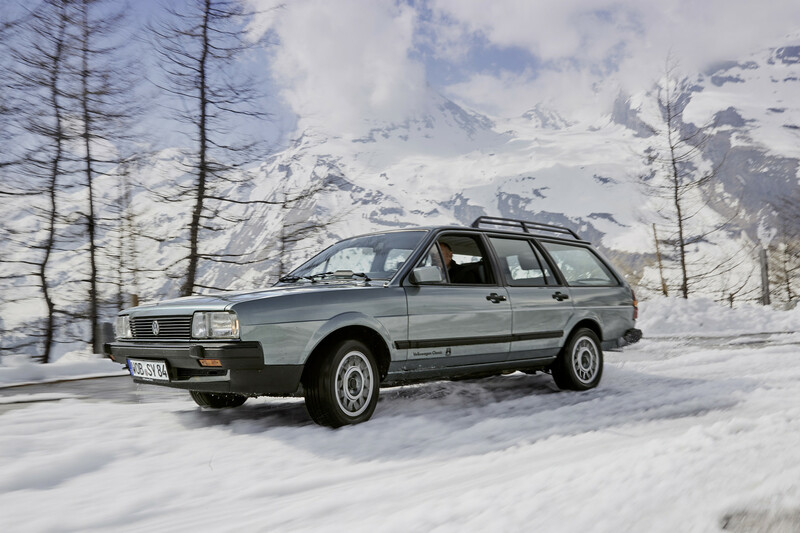 I actually test-drove a well-worn 1980 Passat diesel 5-door. 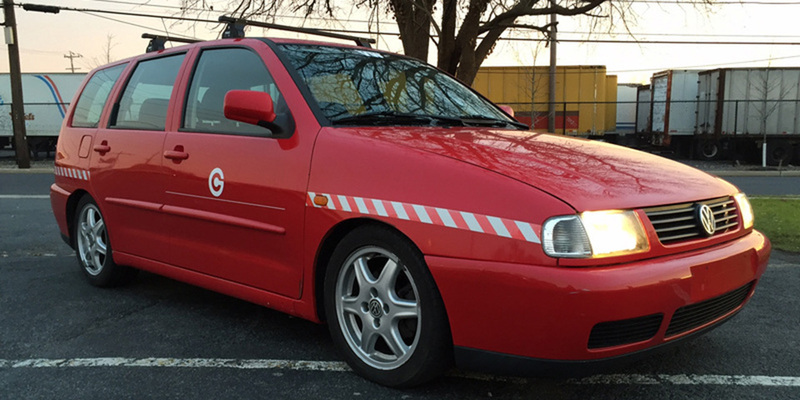 This was back in 2000/2001 and it showed up at my local dealership, probably dumped there by some family who “inherited” it from the original owner. I clearly remember trying to exit the lot onto a busy street. 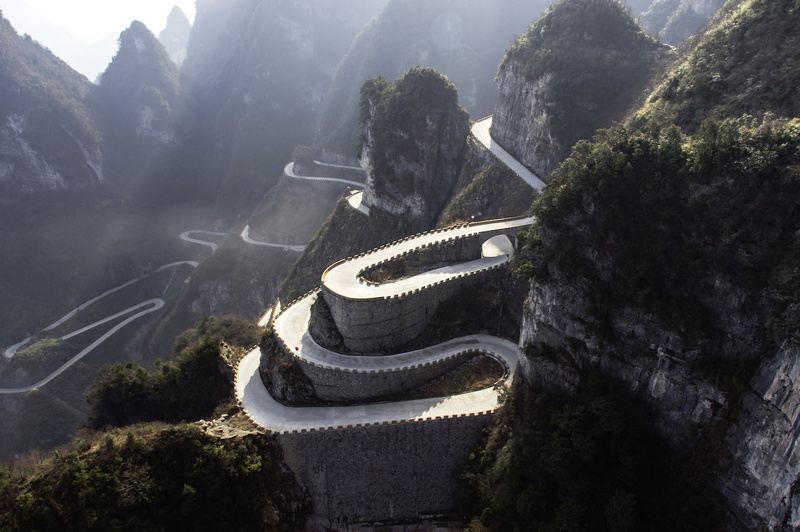 Seeing a break in traffic that any modern car could scoot into, I mashed the throttle, let out the clutch, and the car oooozed forward. I thought I was about to be rear-ended. Turtles walked faster than that car. I didn’t end up buying it, but the asking price of $100 (not a typo) was tempting. Some highlights from this generation: there’s not much to mention. 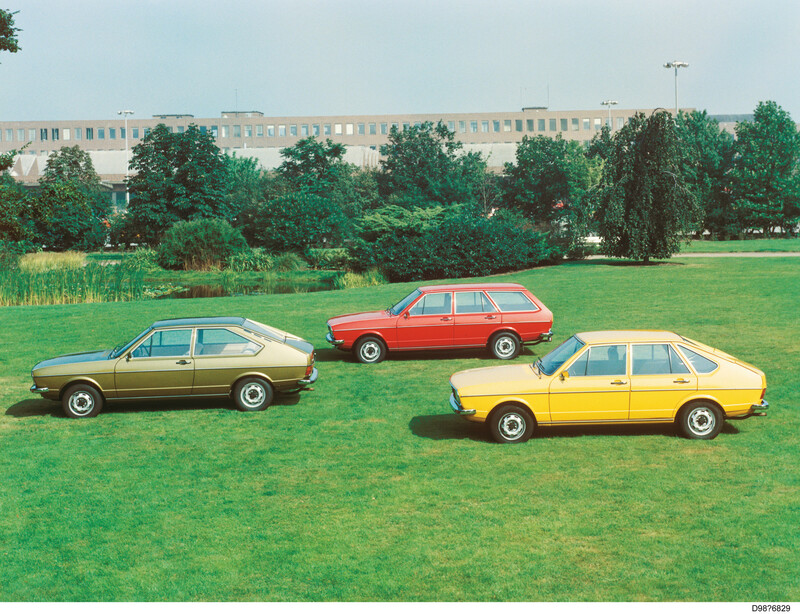 The styling was fresh and modern for the time. 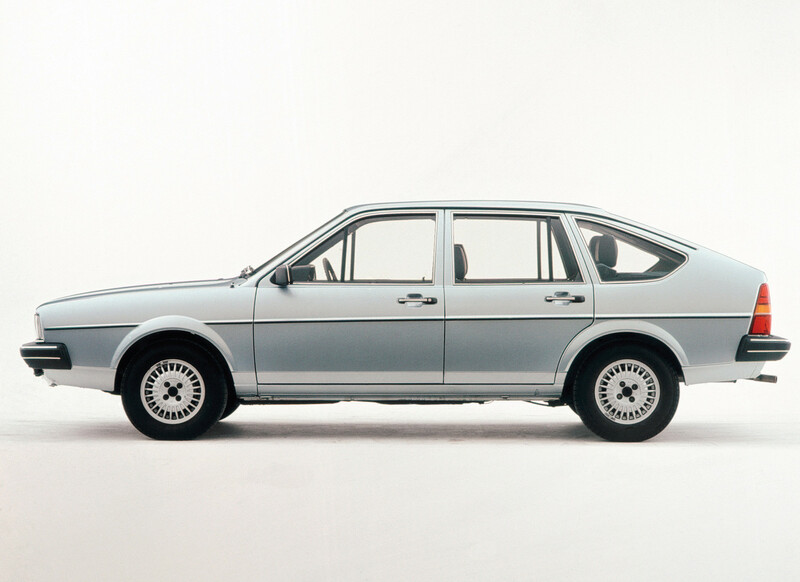 Just like the Golf/Rabbit, it was designed by famed Italian designer Giorgetto Giugiaro. 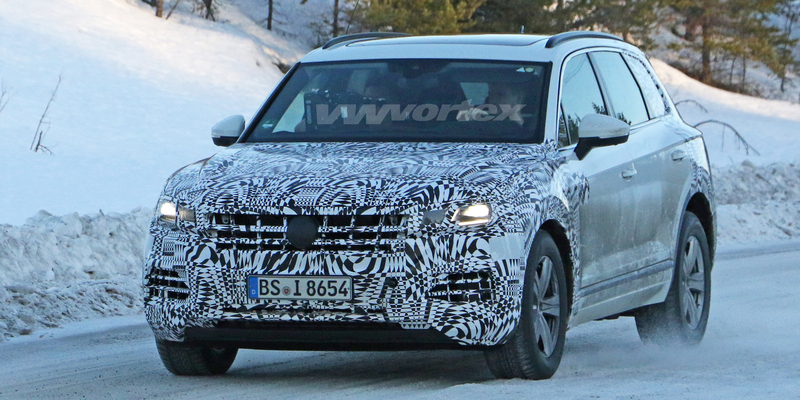 The Dasher also helped usher in the new front-engine, front-wheel-drive cars from Volkswagen. 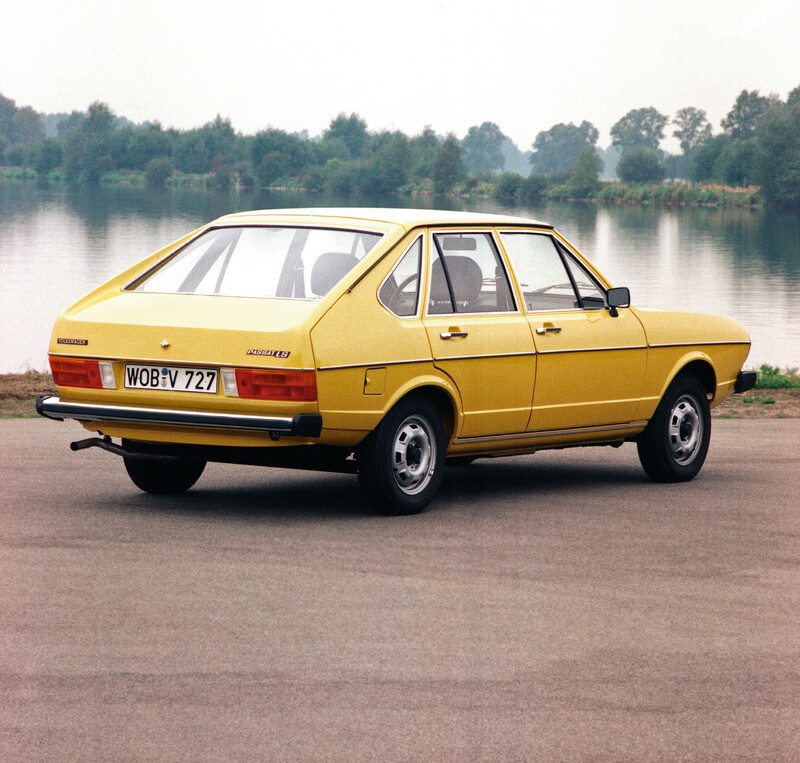 In 1981 Volkswagen revealed the all-new second-generation Passat. 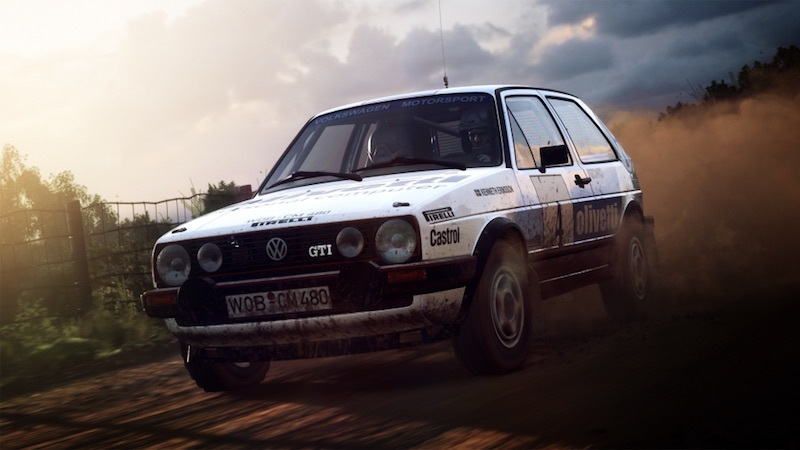 It was once again based on the Audi 80/4000. 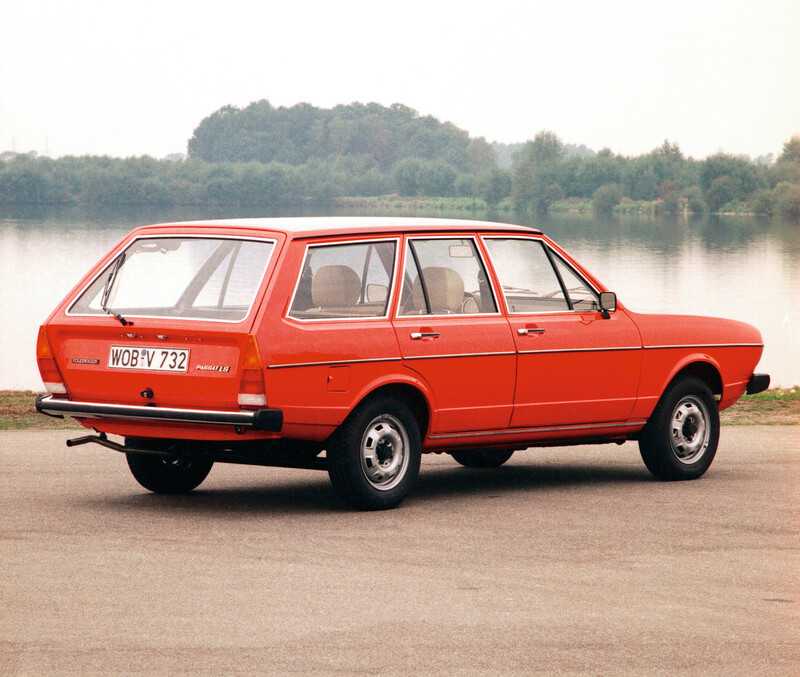 The B2 went on sale in 1982 in America, and it was available as a 3-door hatch/coupe (these are quite rare), a station wagon, and for the first time ever, a 4-door sedan. 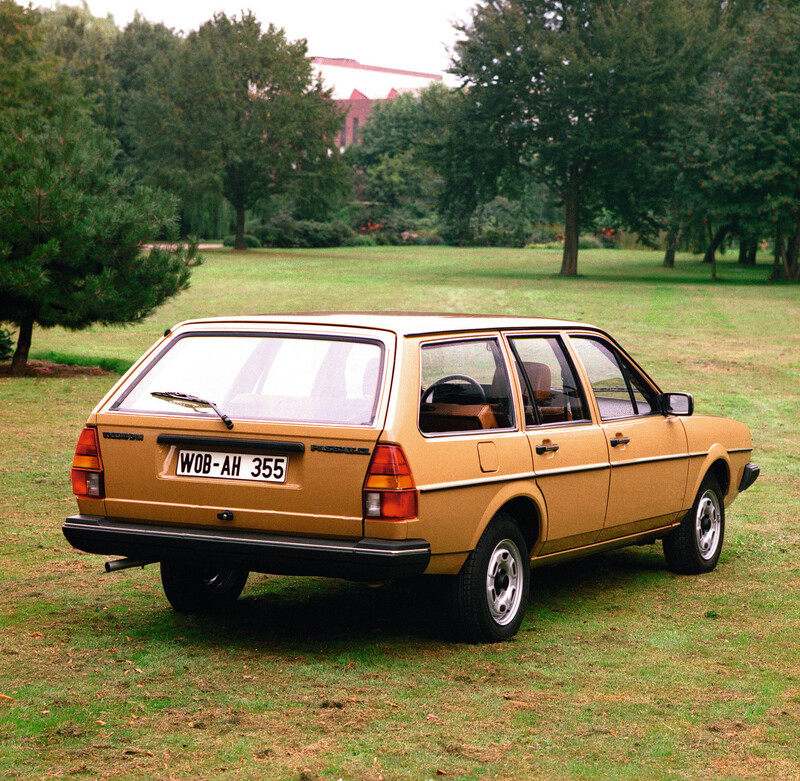 A 5-door hatch was available in Europe. 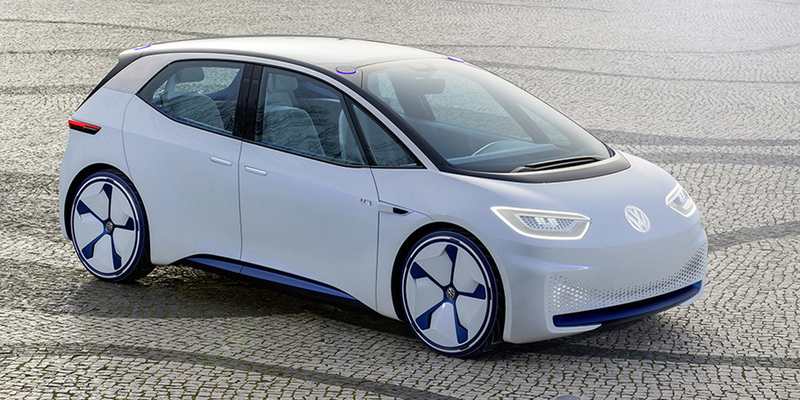 To mark this entirely new version, Volkswagen dropped the Dasher name and instead called it the futuristic-sounding Quantum. 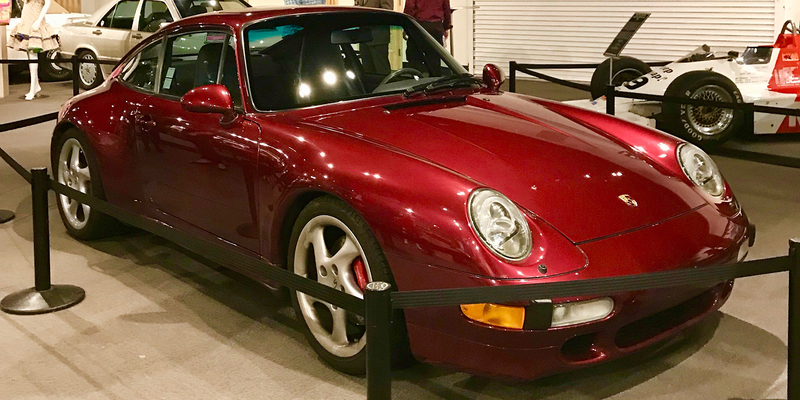 Early Quantums arrived in dealerships in 1982 with a 74 horsepower 1.7-liter four-cylinder engine mated to a three-speed automatic or a 5-speed manual. 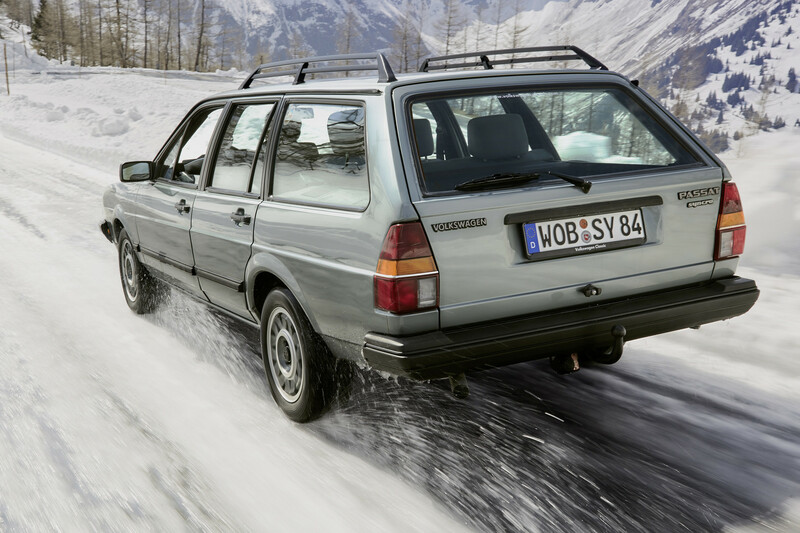 Later a 1.6-liter turbo diesel was added as an optional engine, but neither (still longitudinally-mounted) engine produced much power. 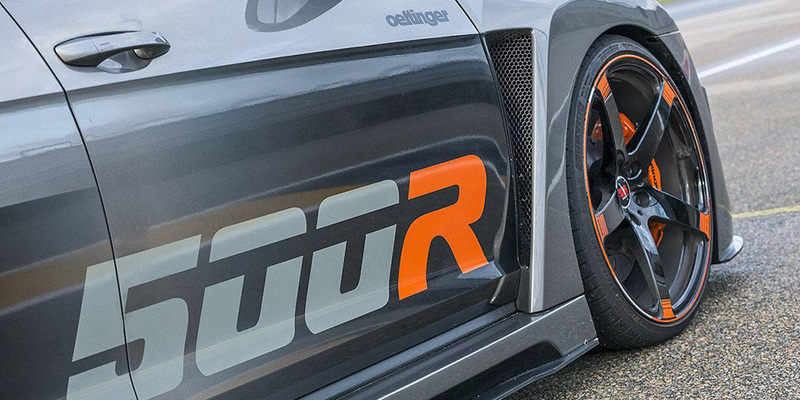 The gas model took 14.1 seconds to get to 60, and the oil-burner got there in 14.3 seconds. 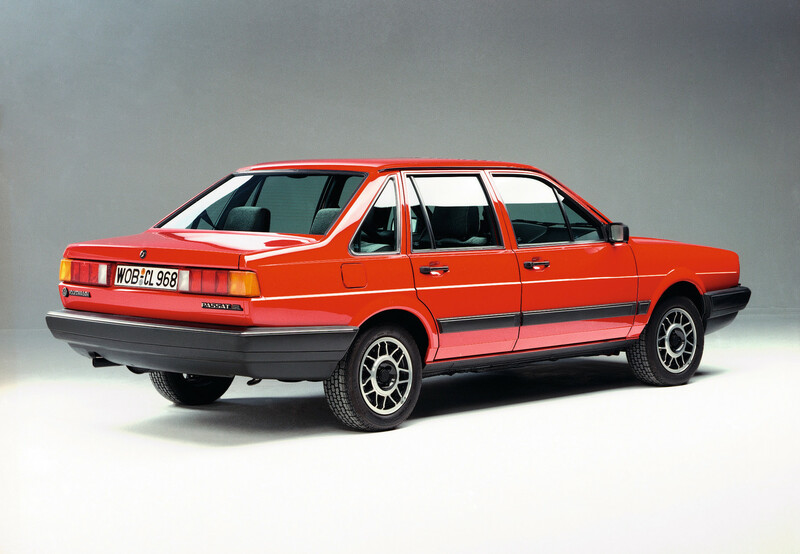 In 1984 came a serious bump in power with a shared-with-Audi 2.1-liter 100 horsepower 5-cylinder engine. 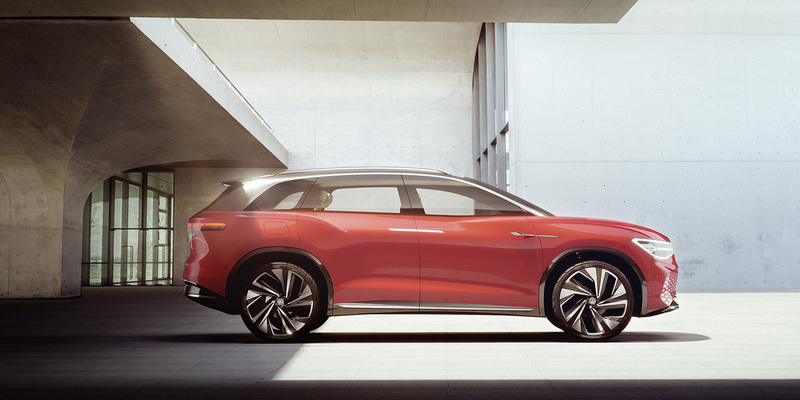 With the new engine came a new trim level: the GL5. 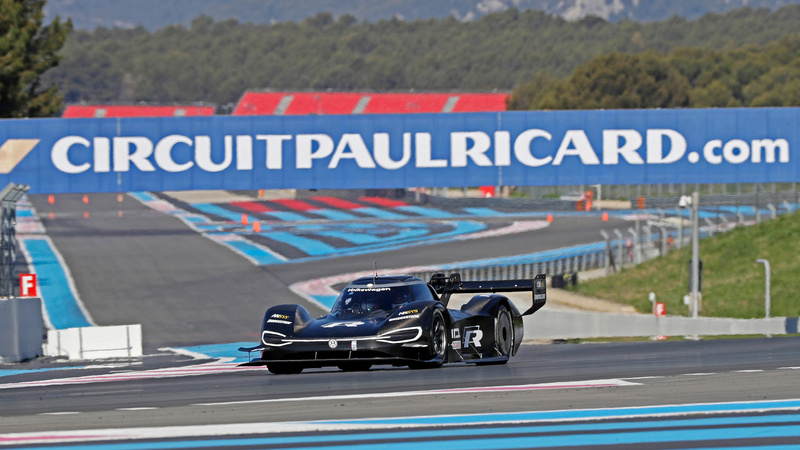 The new powerplant gave the roomy sedan some pep, but it only lopped 2 seconds off the 0-60 time: 12.6 seconds. It definitely wasn’t fast, but the engine was very smooth and the car shined on the freeway. 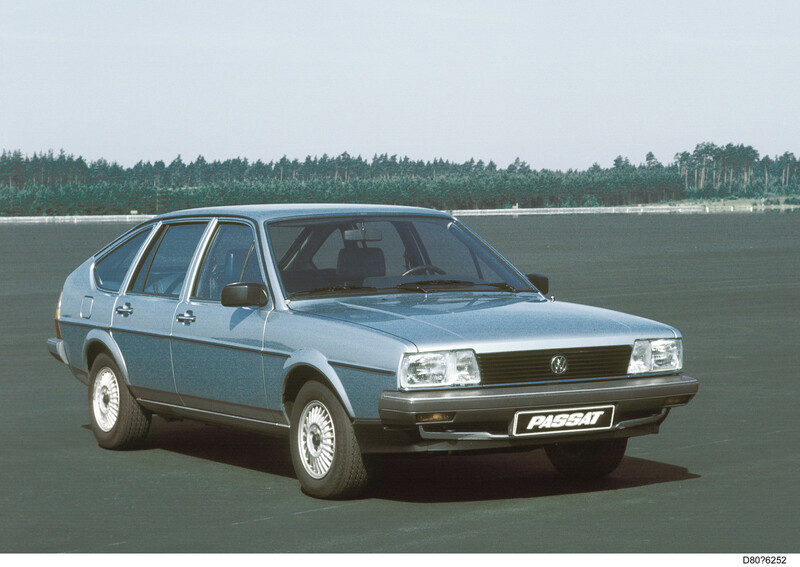 In 1985 the engine grew to 2.2-liters. 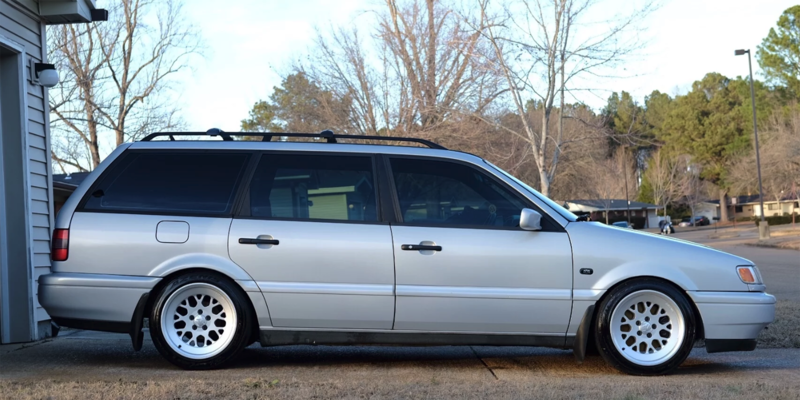 The Quantum never took off in the U.S. 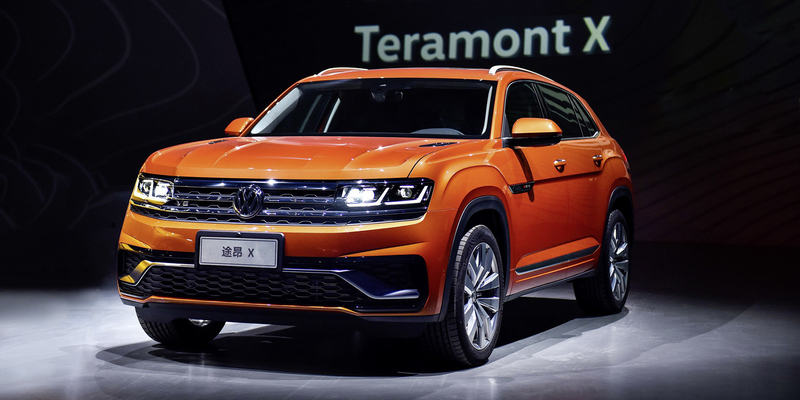 It was a bit expensive for the segment, and not a particularly attractive design. 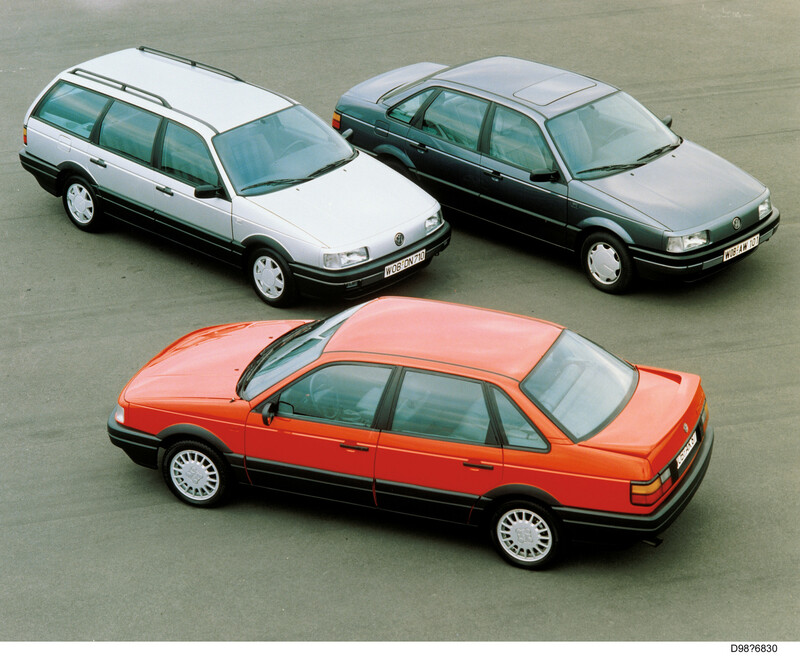 My family actually had two (used) Quantum GL5s: my 1984 sedan and my mom’s 1987 wagon. 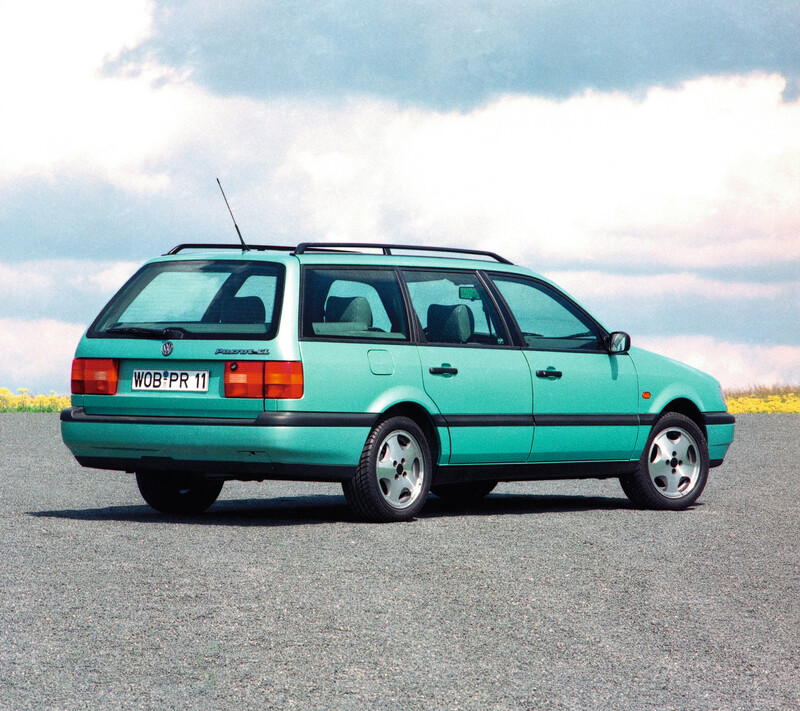 The 5-cylinder engine in the wagon was a welcome upgrade from the “Iron Duke” engine in her previous Oldsmobile wagon. Both our cars survived accidents; I missed hitting a truck on a blind curve and overcompensated spinning the car 180 degrees and smacking a “Welcome to Russell Township” sign (that also had two raccoons printed on it; they seemed to be laughing at me), my mom backed into a tree next to our driveway. 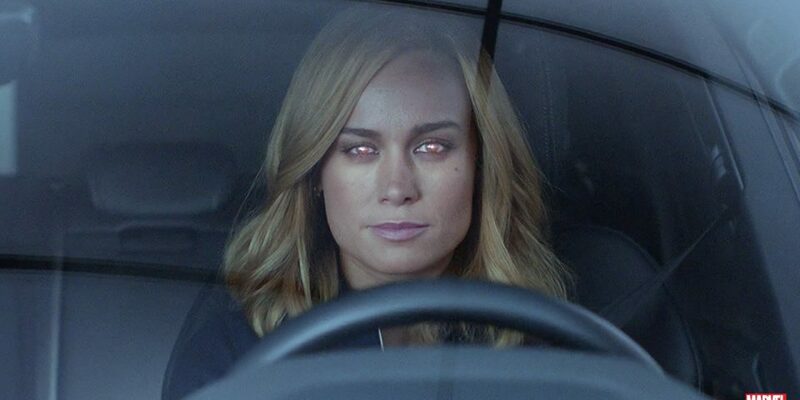 We both got speeding tickets in our Quantums. She and I remember our cars fondly. 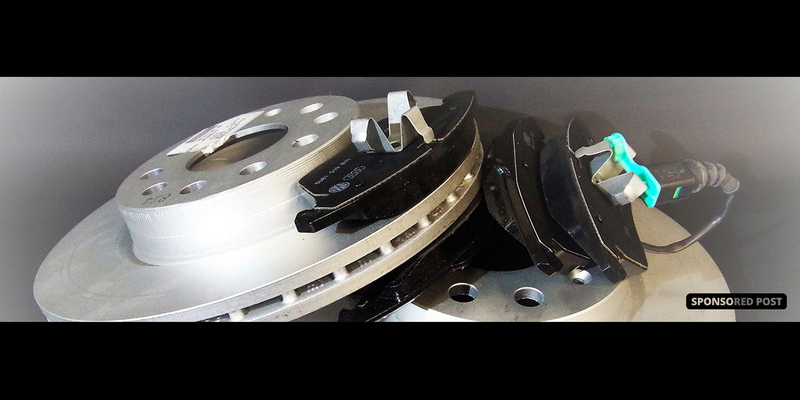 My dad remembers the costly parts required for uncommon models. 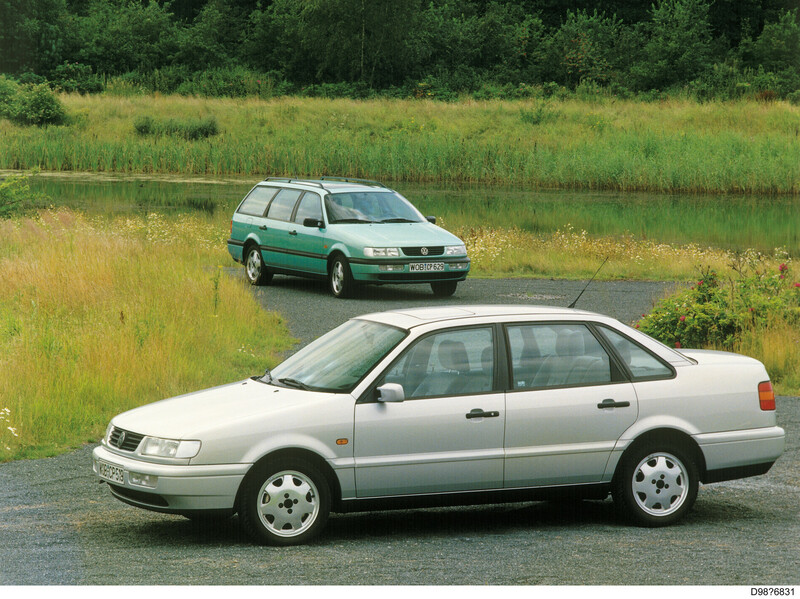 Highlights from this generation: as mentioned, the 3-door hatchback/coupe is rare. 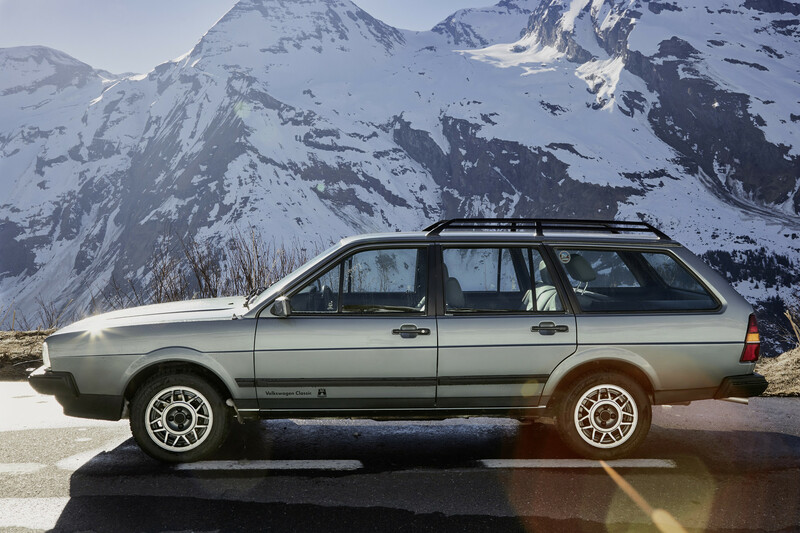 The most sought-after Quantum model for enthusiasts is the Syncro wagons. 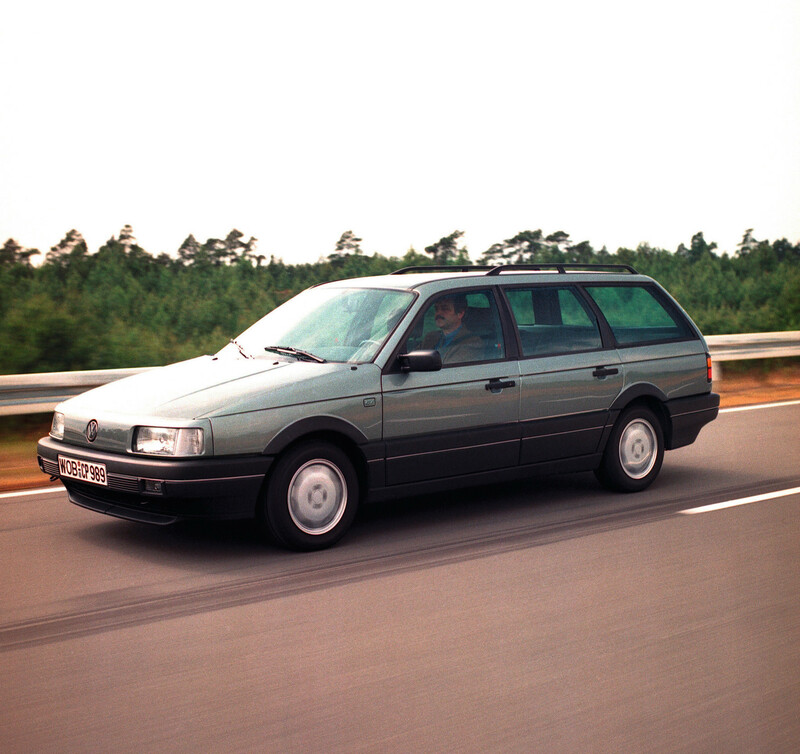 Volkswagen added and re-named the Quattro all-wheel-drive system to the Quantum wagon in 1987. 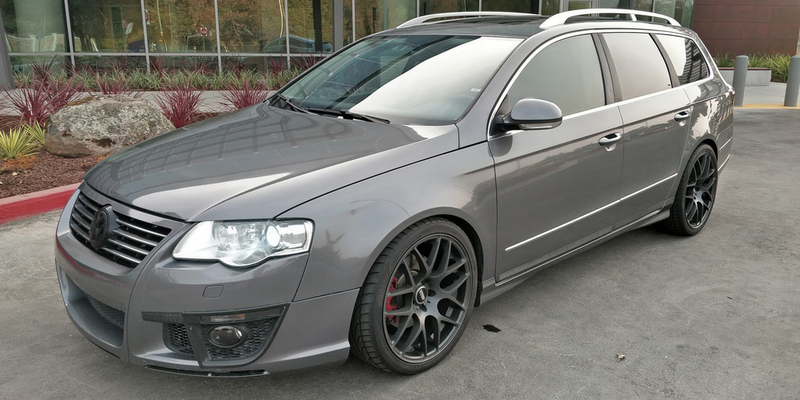 QSWs, as enthusiasts call them, had the 2.2L engine and a 5-speed manual transmission. 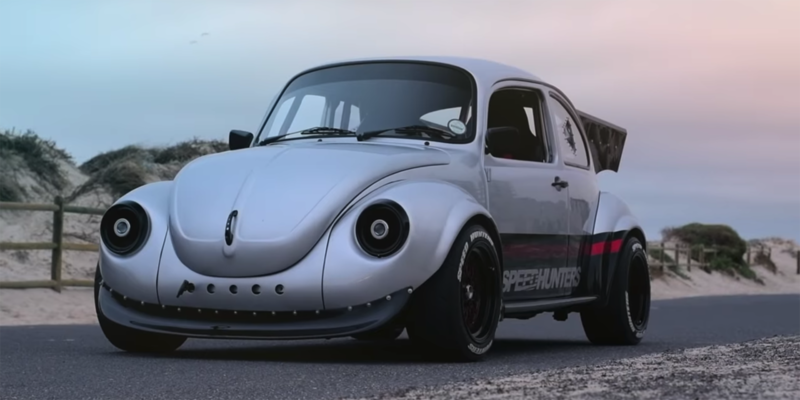 There’s a cult following for the this AWD mini-monster. 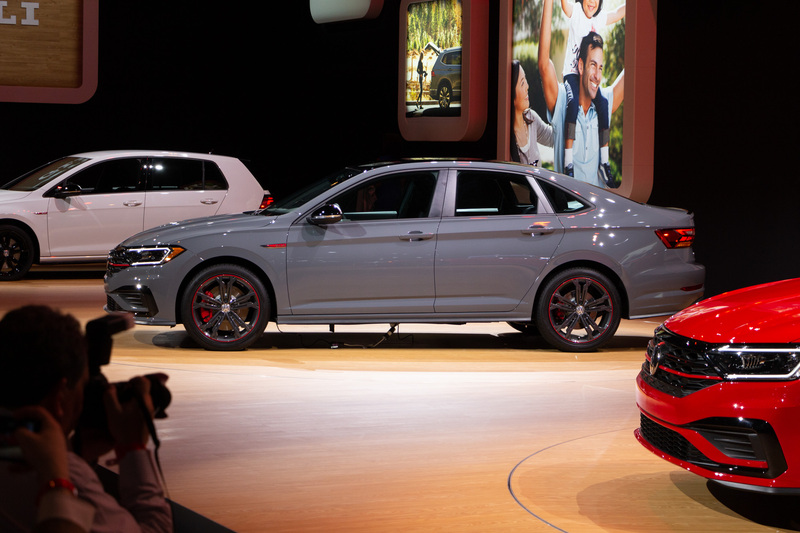 The third generation brought yet another name to Volkswagen’s larger sedan. 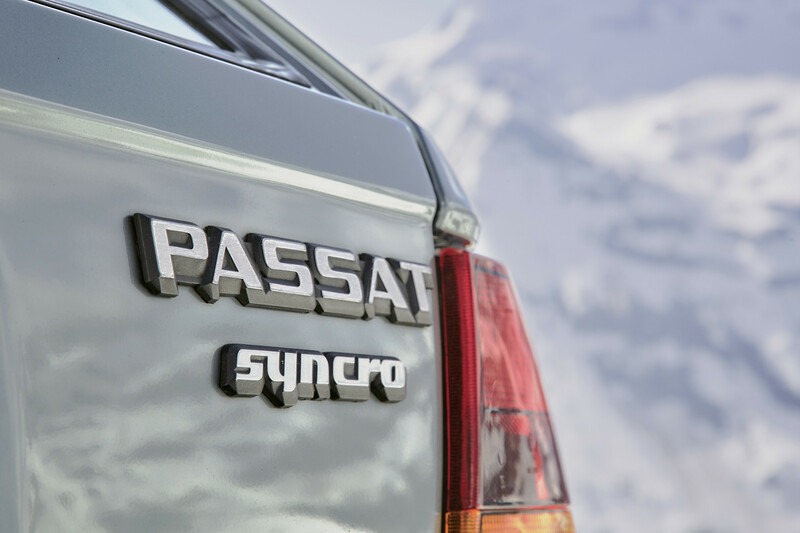 For the first time in its history, the car was given the same name in the United States as it had in Europe: the Passat. 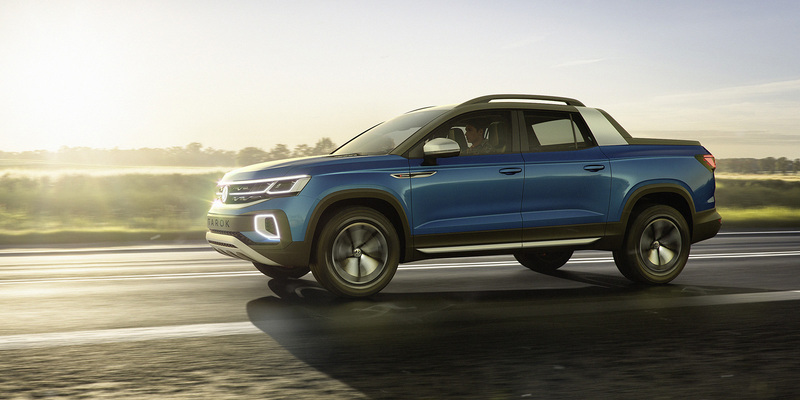 VW made huge changes to this model. 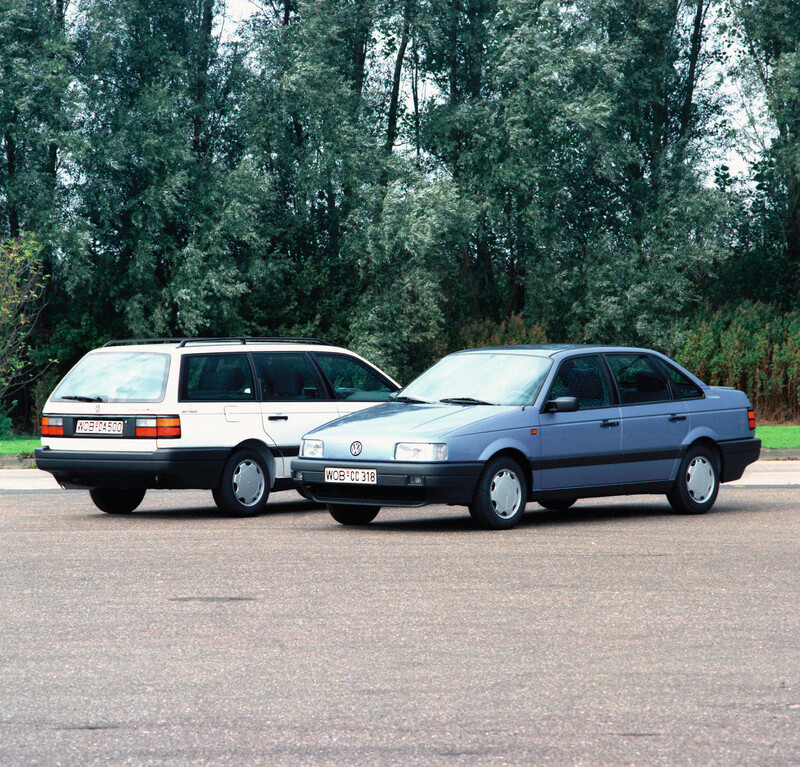 They stopped sharing parts with Audi models; the Passat was based on a stretched version of the MK2 Golf/Jetta platform. 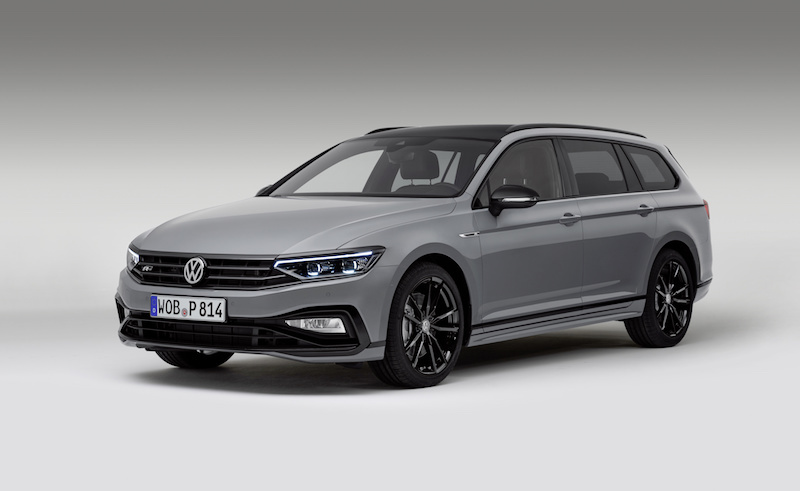 This means the Passat moved to a transverse engine layout making for a roomy interior. 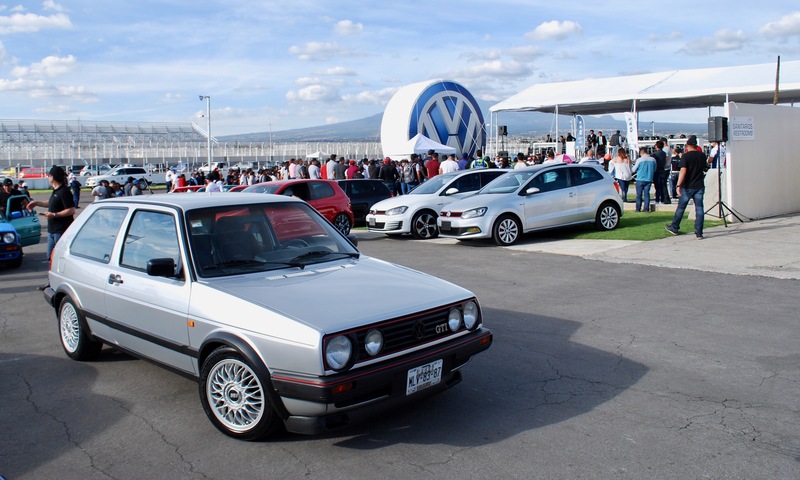 Along with the new platform came a new engine for the model: the 2.0-liter 16V engine shared with the GTI 16V and the GLI 16V. 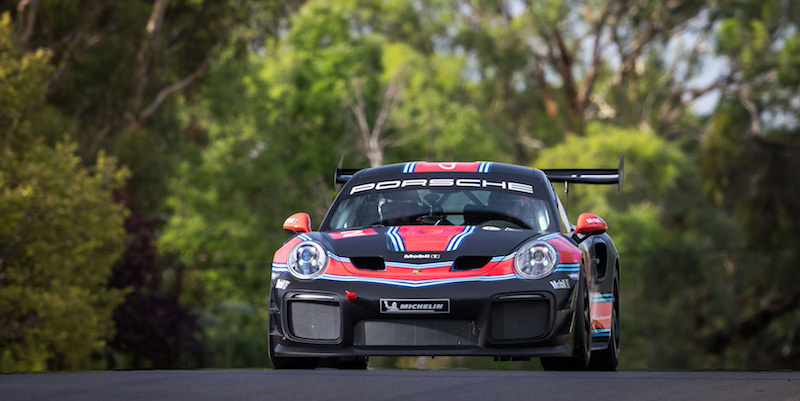 Performance greatly improved knocking two seconds off the 0-60 time: a respectable for-the-time 10.7 seconds. 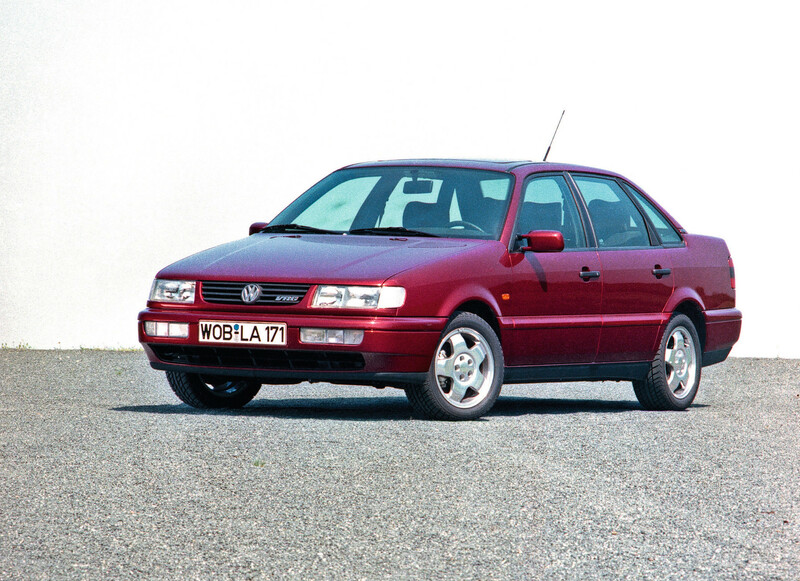 In 1992 the all-new narrow-angle VR6 engine was added as an option. 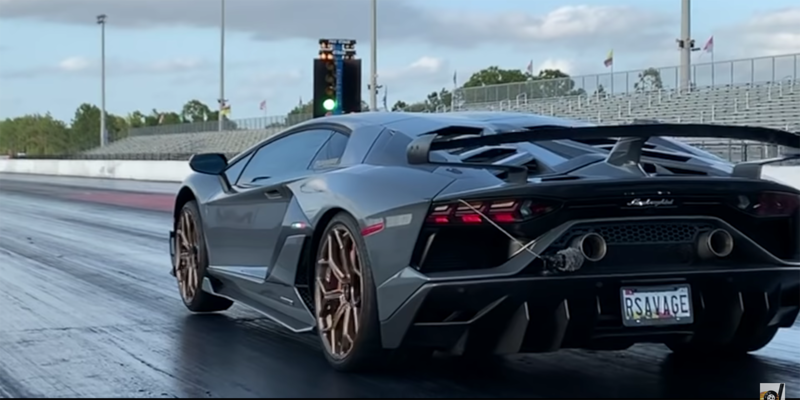 The engine transformed the car: it blasted to 60 in 7.9 seconds. 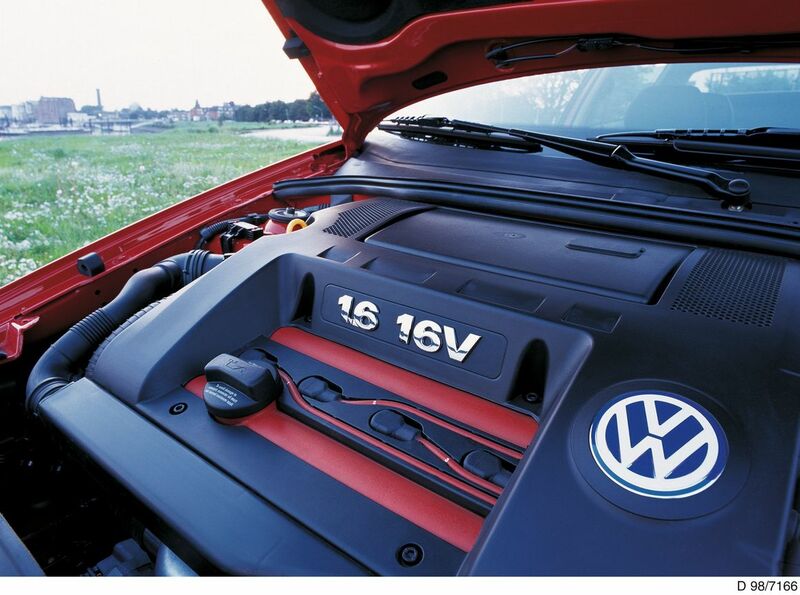 The engine was so popular, VW dropped the 16V from the lineup in 1994. 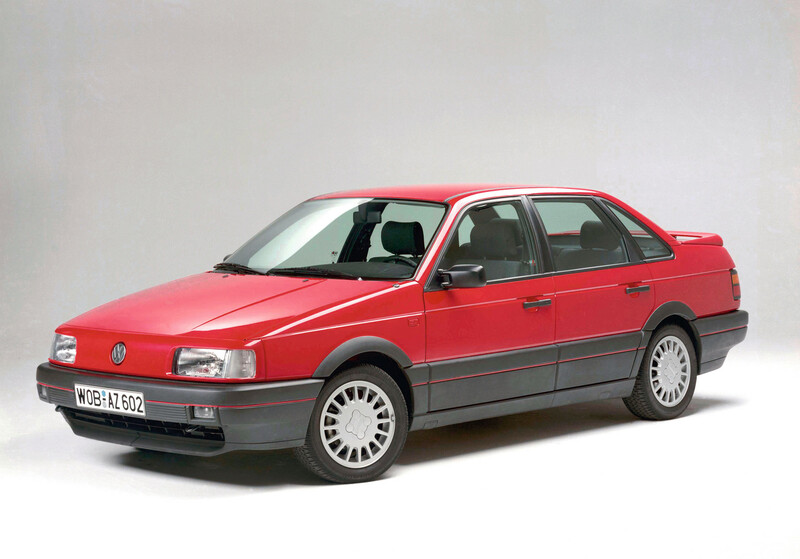 Styling can be subjective, and the B3 Passat was almost too modern for buyers. 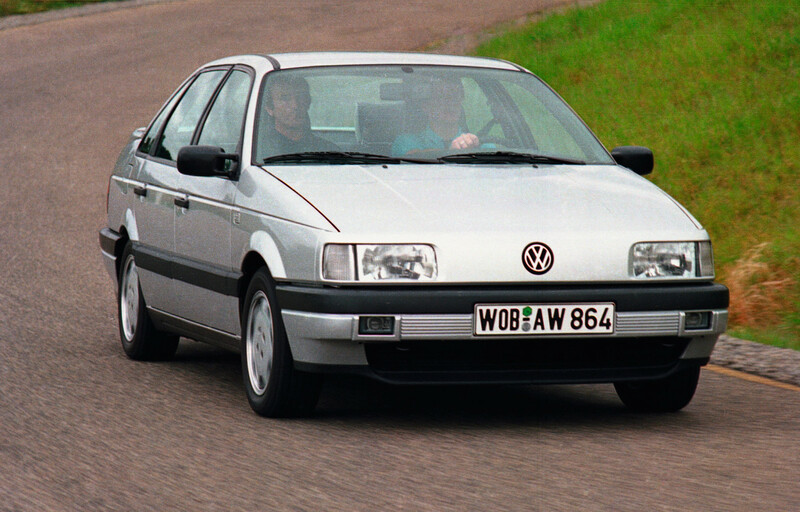 The most controversial aspect of the design was the grille-less front fascia. 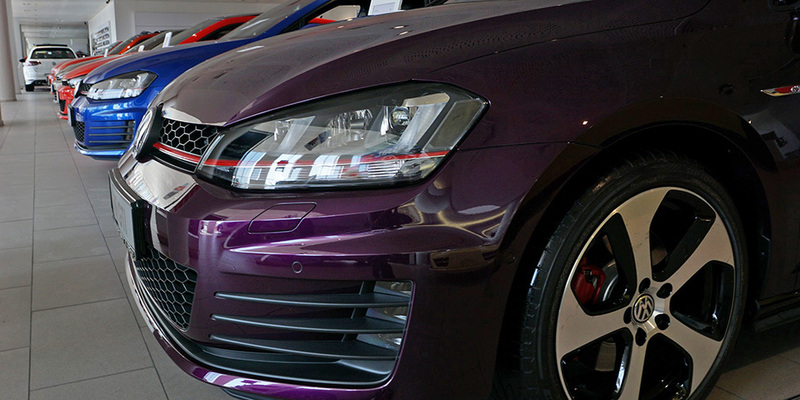 In a segment where buyers gravitated to the traditional, the lack of a grille turned buyers off. 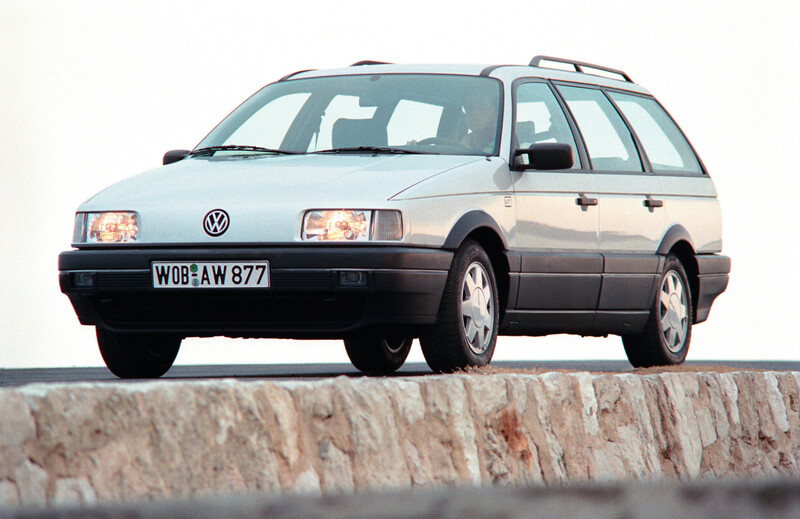 Volkswagen updated the styling in 1994 (enthusiasts regard this as the B4 Passat even though the platform remained the same); a grille was added when the fascias and interior were updated. 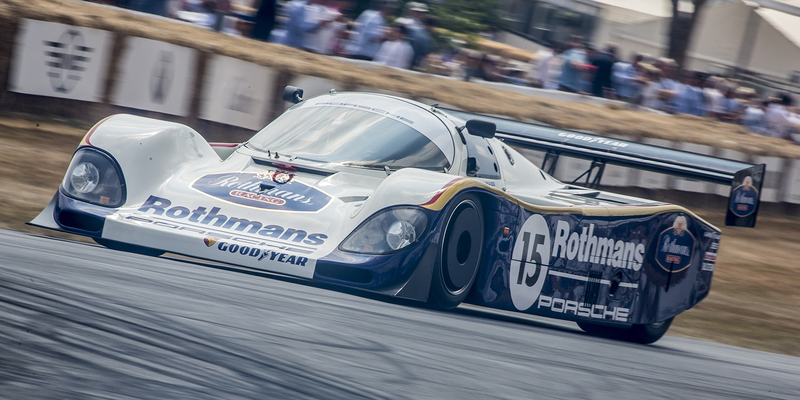 The rest of the car was very modern; it had tight creases and rounded edges and an overall “chiseled” look. 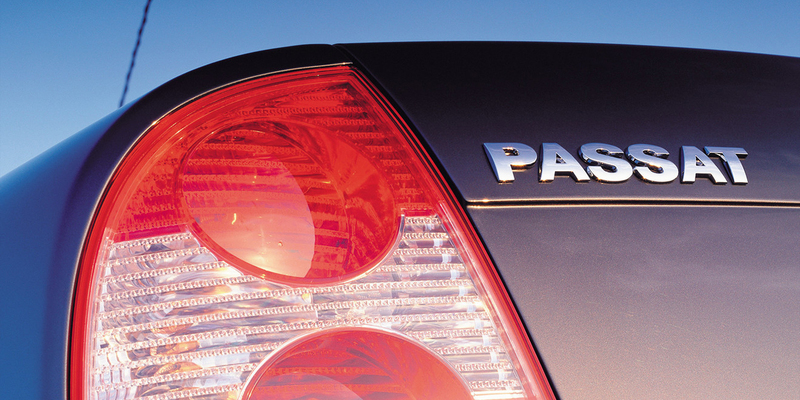 I personally prefer the early fascia to the later one. 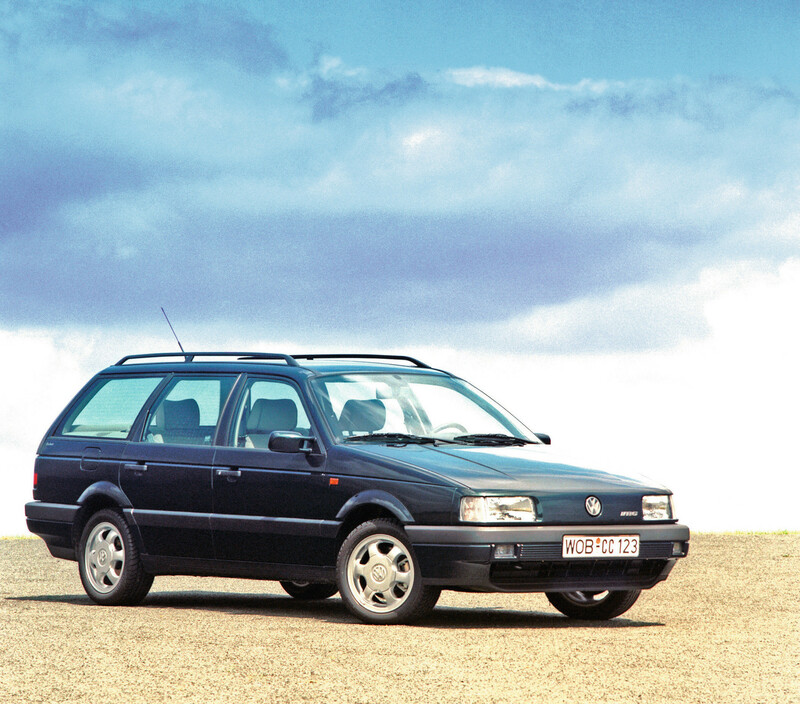 Model highlights: Any GLX model with the VR6 engine mated to a manual transmission. 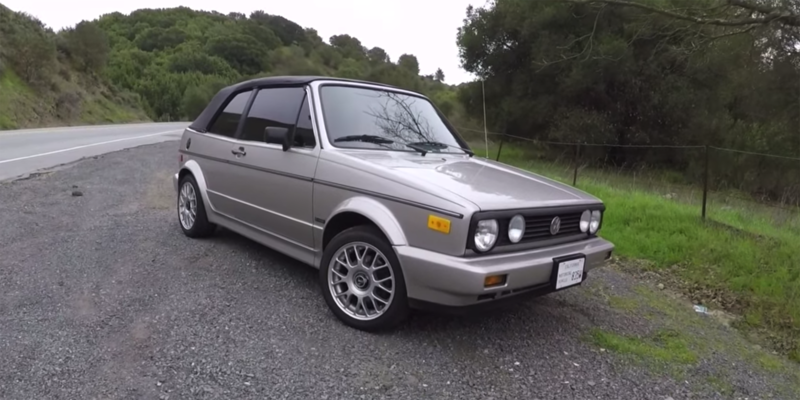 Syncro G60 sedans were available in Canada and sometimes they find their way into the States. 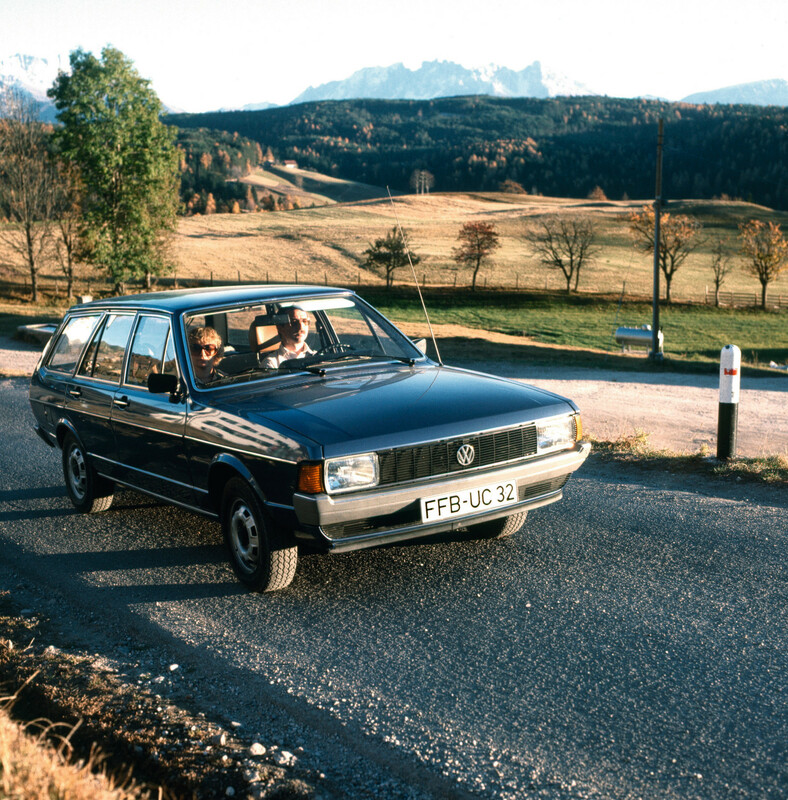 And don’t forget Volkswagen’s Fahrvergnügen advertising campaign in the early 90s. 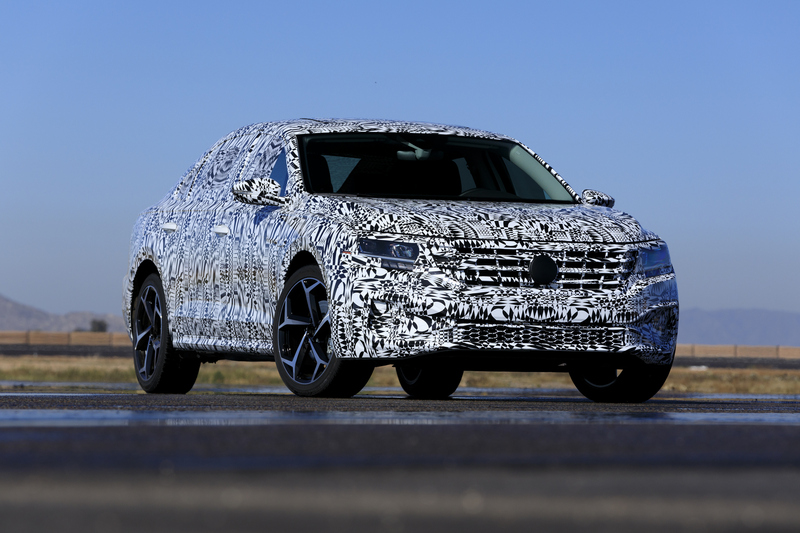 Later this week we’ll bring you part two; the B5 through the B7 and what details we know on the soon-t0-be-revealed 2020 B8.